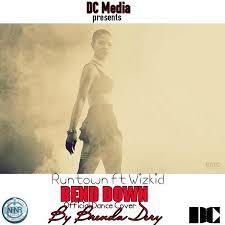 Former member of UK-based trio D3 Dancers and founder of Dery Entertainment presents , Brenda Dery presents a dance cover of Runtown/Wizkid’s club banger “Bend Down Pause”. She features Cameroon-based 237 Squad. Produced by DC Media in conjunction with NHNR. Buea-based rapper Crispy debuted with a hilarious but highly acclaimed rap song titled ‘Mboma’ . 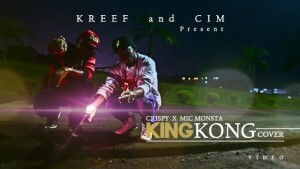 He teamed up with new Kreef Ent. 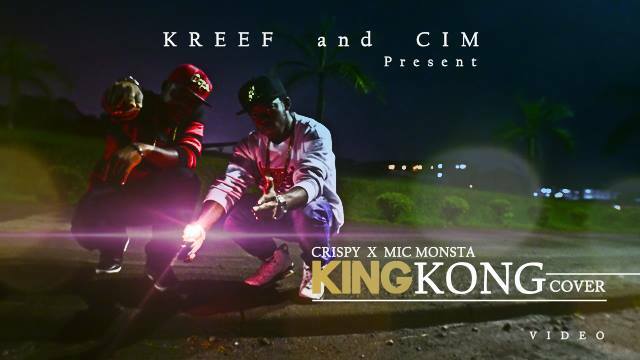 signee Mic Monsta on a cover of Vector’s hit song ‘King Kong’. The tune is embroidered with solid punchlines and a hard delivery by both acts. A stunning collaboration. Video directed by Nkeng Stephen. Agume Dirane is a prolific model and up and coming actor whose dexterity, versatility and penchant for blogging about celebrities on Facebook captured the attention of NexDim’s CEO Steveslil Njang. He therefore brings his abilities and verve as an add-on to Nexdim’s already sterling reputation. 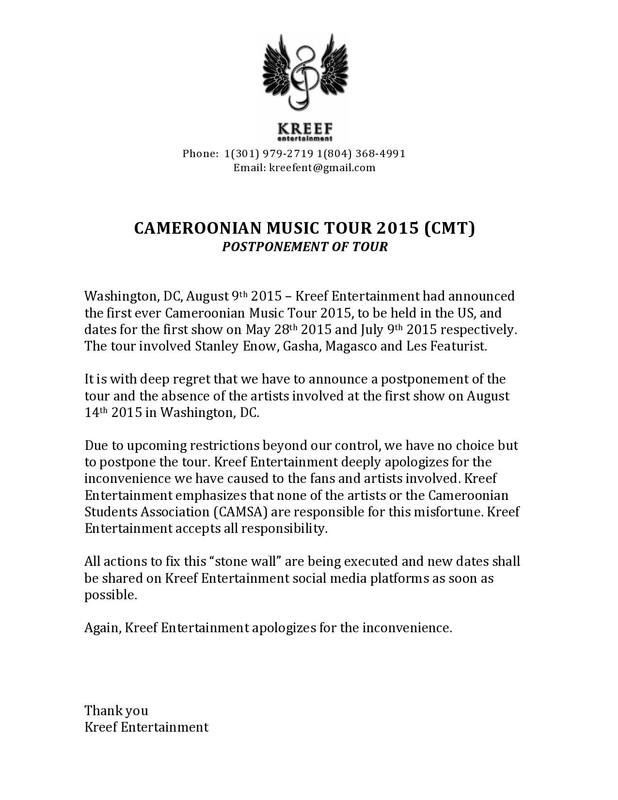 NEWS: KREEF ANNOUNCES POSTPONEMENT OF CAMEROON MUSIC TOUR (CMT). 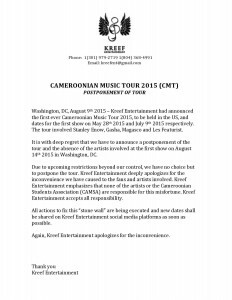 Kreef Ent has officially announced the postponement of the maiden edition of Cameroon Music Tour that was slated to take place in USA this August. Following a press release posted on Social media , the US-based event organizers have apologized to the fans of Stanley Enow, Magasco, Featurist and Gasha for the inconveniences. However , arrangements are underway for future dates. 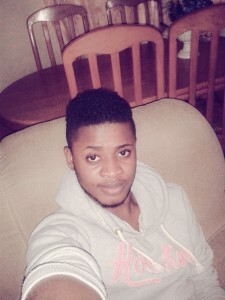 Ach4Life trending artists Minks just dropped a fresh single titled “Sponsor” featuring MTN Make The Music laureate Salatiel. The song throws light on a recurrent social malpractice in which young girls are so money-minded that they are easily lured by rich married men into emotional relationships. After dropping “les panteres” , this tune is a perfect follow up to take him to the acme. 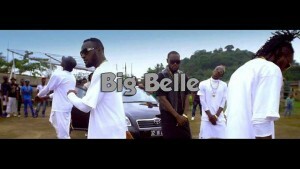 Kumba-based label Rush Time Entertainment presents “We dem boyz” group comprising K-Square, Don Cojo,T-Boy and Bobo B in a Southside-patterned Hip hop song titled “Big Belle” .The hook delves back into an old insulting phrase that owes its roots from English-speaking Cameroon. It’s an street song that captures your attention anytime anywhere. The video was directed by Dr Nkeng Stephen. 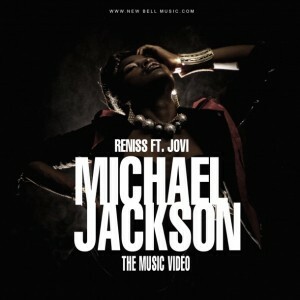 Reniss releases her new video “Michael Jackson” featuring Jovi. 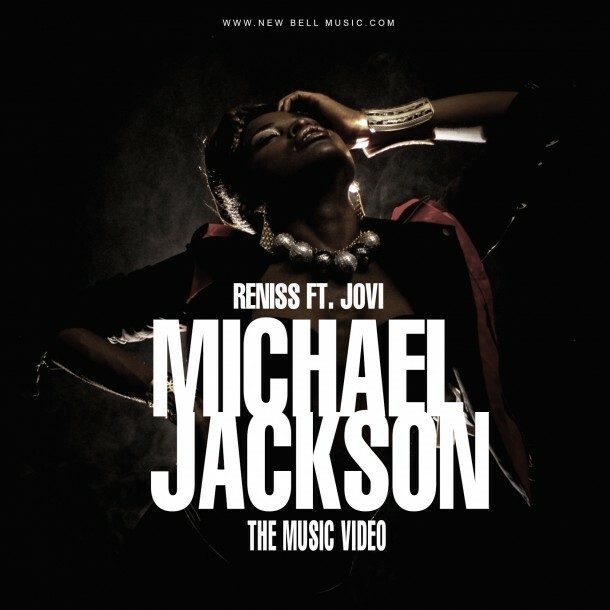 Reniss sets the groove of “Michael Jackson” by paying hommage to the Ivorian group, R.A.S, with their iconic song, “Agnagnan.” Produced by Le Monstre. Directed by Ndukong. Download and stream “Michael Jackson” on iTunes and Google Play, Spinlet, Spotify, Tidal and more. 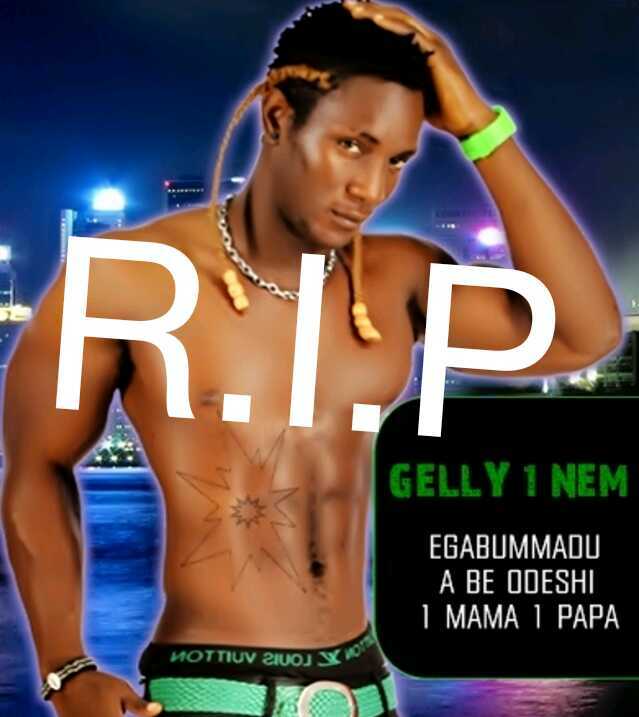 Kumba-based artist Gelly 1 Nem died last Friday 31st July 2015 following a protracted illness. He lastly performed for Reaktor during the university games before becoming very sick. Messages from his close friends and artists in Kumba say he was admitted in a hospital in Kumba and later transfered by his family to Fako where his phone was not reachable . Several sad reactions have been seen on social media regretting the untimely death of a combative soldier in the urban music industry. Nexdim says R.I.P.